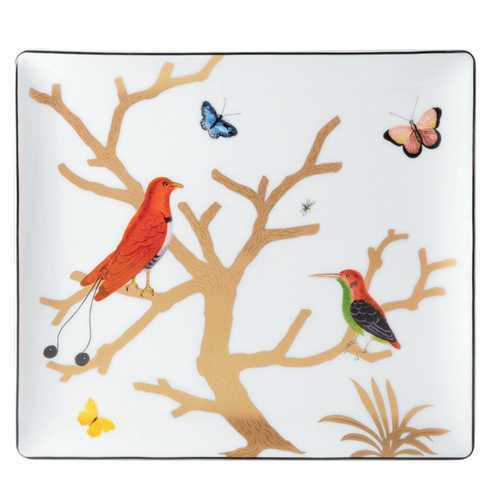 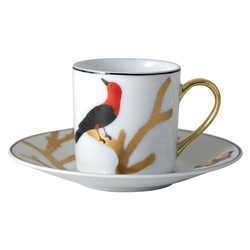 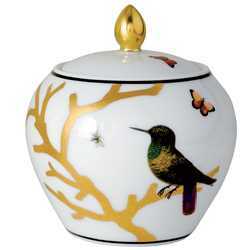 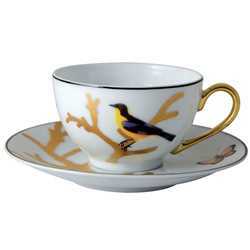 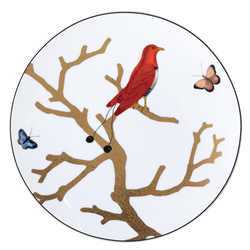 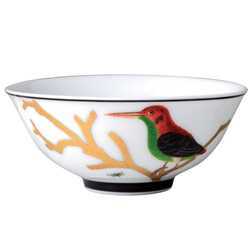 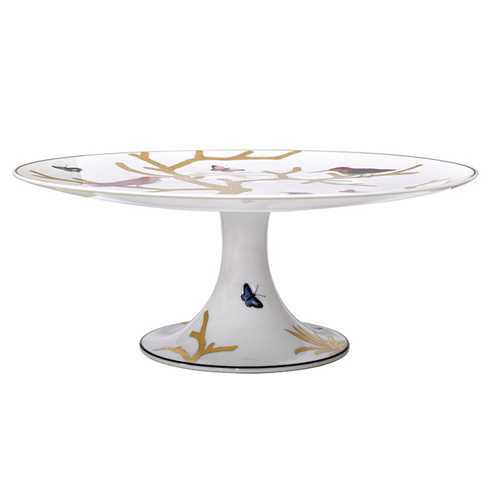 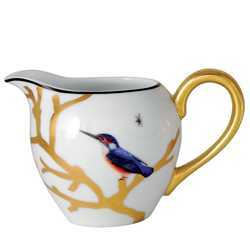 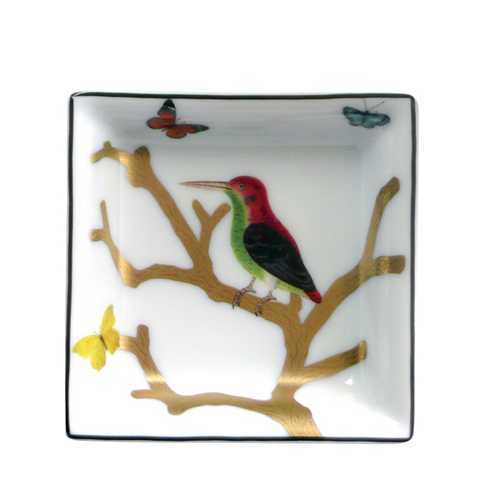 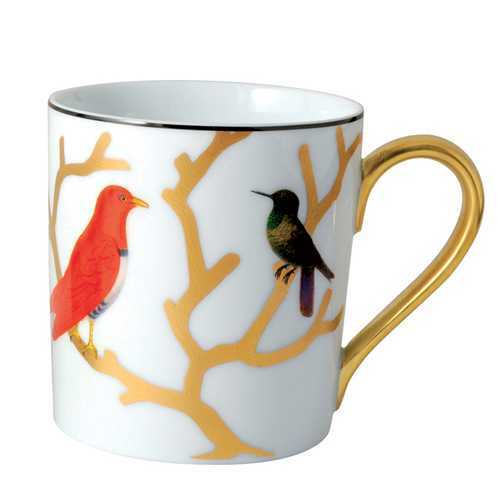 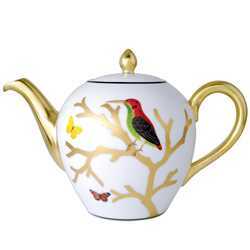 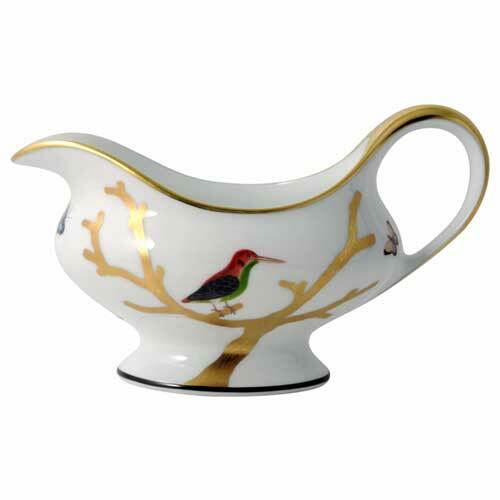 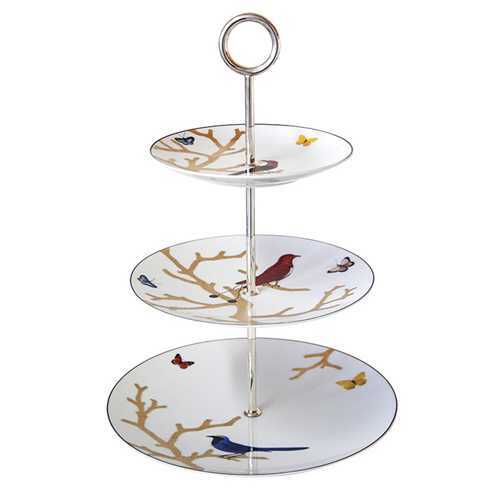 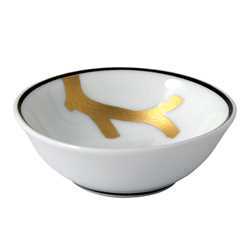 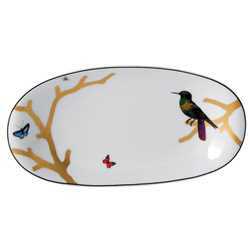 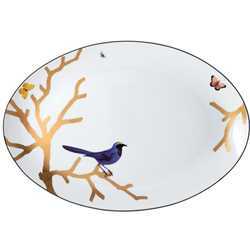 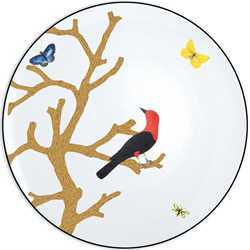 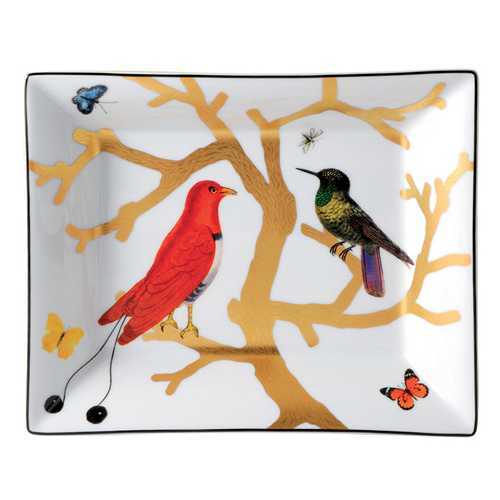 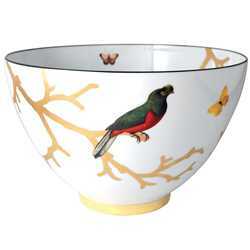 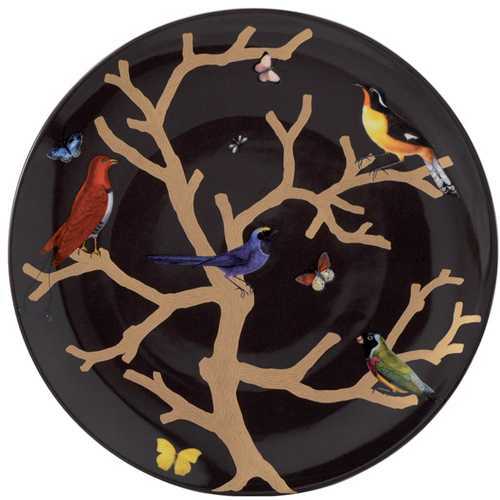 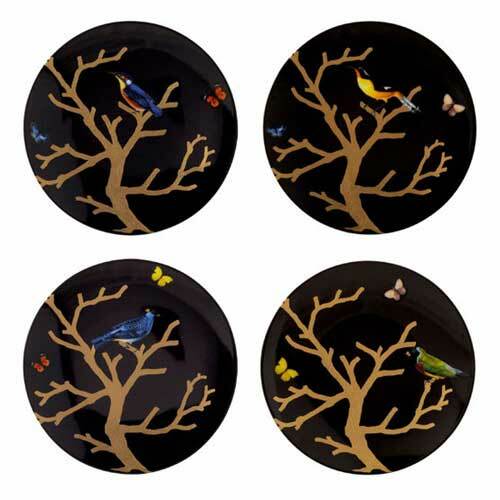 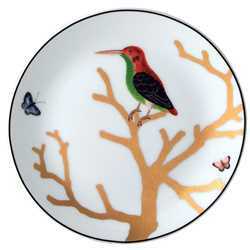 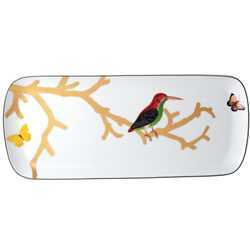 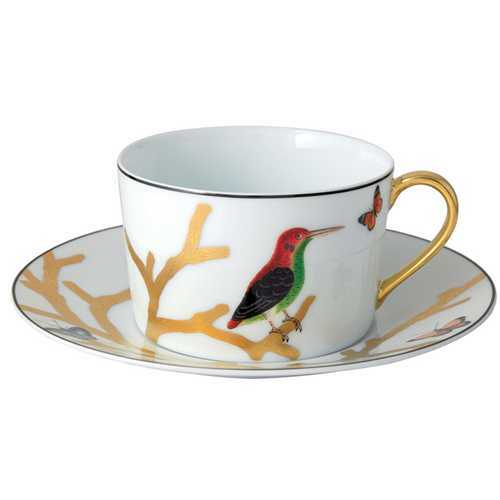 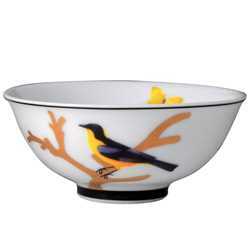 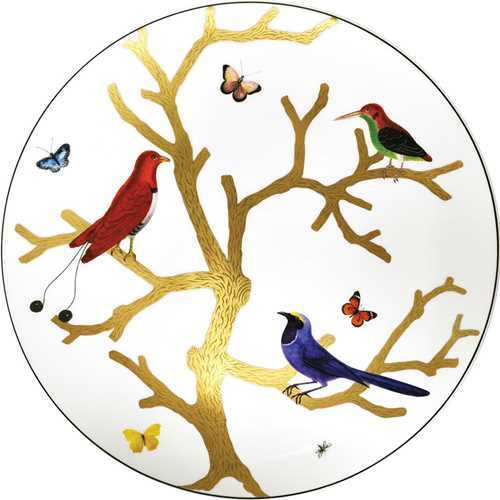 Bernardaud Aux Oiseaux shows a colourful flock of birds all elegantly perched on gilt branches. 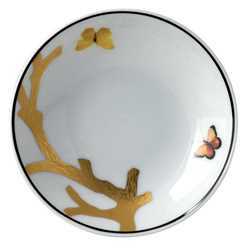 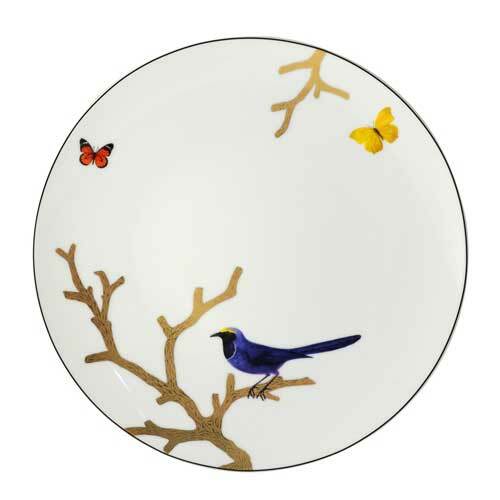 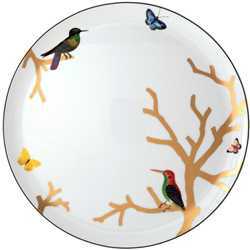 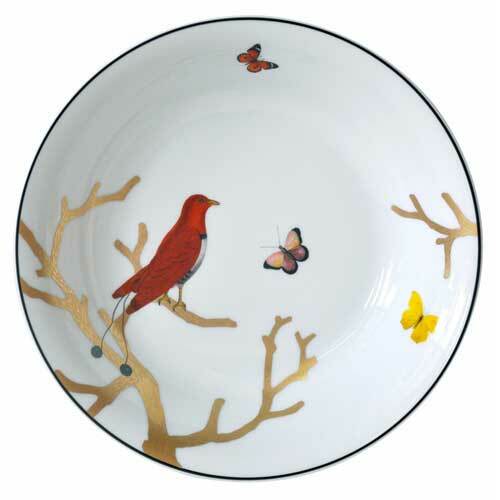 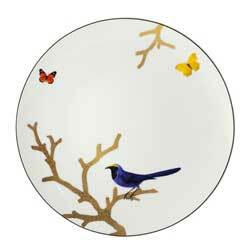 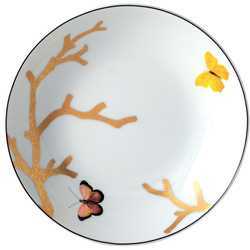 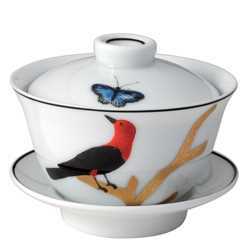 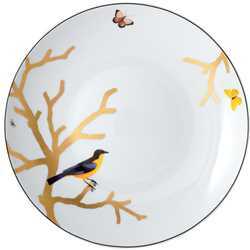 Fluttering high above them on the fine Limoges porcelain are colourful butterflies. 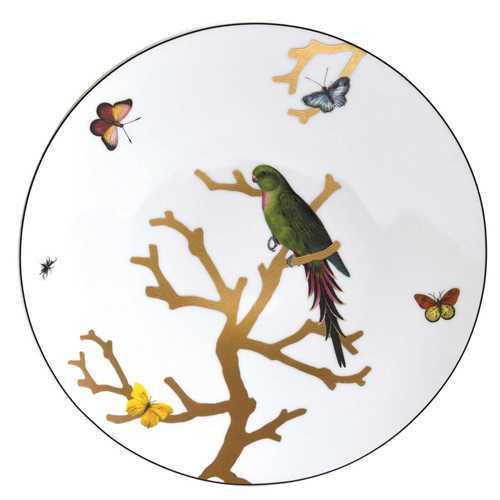 The imaginative Bernardaud décor, reminiscent of the methods used for old Japanese prints, was inspired by curiosity cabinets - so-called “chamber of wonders”, a precursor to the modern museum where objects from a variety of origins were presented in the 16th and 17th century. 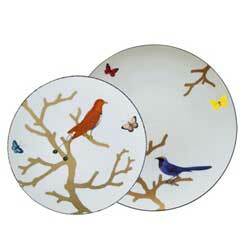 These feathered friends were among them. 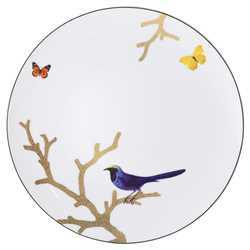 This is a factory order item and can take up to 6 months for delivery.